It has been over a month since Paris Games Week revealed Dhalsim to us in Street Fighter V, leaving a single slot in the starting roster for a new character. Now, at PSX, that final character has been revealed, and he’s nothing like anyone could have guessed. Say hello to F.A.N.G. 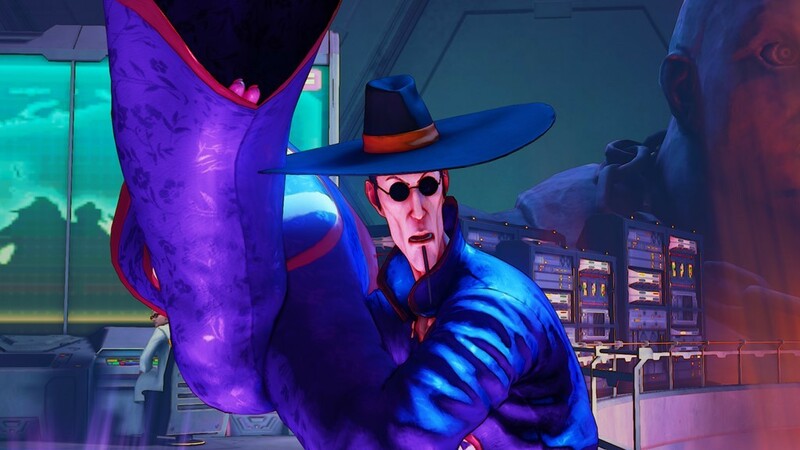 This gaunt, Jiangshi(Chinese hopping vampire)-looking fellow is F.A.N.G, Sagat’s replacement in M. Bison’s Four Heavenly Kings and master of assassination. In addition to bizarre new proportions in character design, F.A.N.G brings with him a brand new mechanic to the Street Fighter franchise: poison. This mechanic works as one would think: if he lands an poisoned attack, the opponent will continue to take damage until F.A.N.G is hit, or until a set amount of time has passed, similar to Spinal’s curses in Killer Instinct; which combined with his long-ranged attacks and slippery profile make F.A.N.G a touch nut to crack. Fairly straightforward, Nishodoku fires a slow-moving projectile that will poison if it makes contact. This will likely be a decent attack to set up or move in with, depending on exactly how slow it moves. Again, pretty simple. F.A.N.G creates a poisonous cloud around himself that continuously does damage to an opponent in its range and applying poison. As all other V-reversals, we will have to wait for a name on this one. F.A.N.G simply moves behind his opponent. Though in the trailer he performs a throw afterwards, the fact that Birdie is able to turn around before it lands points to the sidestep being the entirety of the reversal. The name of this move is currently unknown, but hopefully not for long. F.A.N.G takes to the skies, proclaiming “I’ll turn into a bird!” before furiously flapping his arms and dealing damage to the opponent. And now for the moment that the faithful have been so waiting for: the official reveal of the season pass. 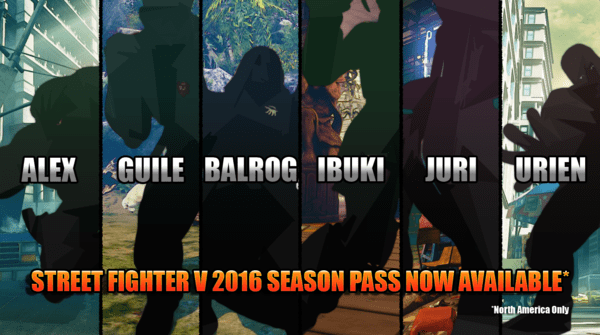 The season pass will include six characters: the previously datamined Alex, Guile, Balrog, Ibuki, Juri, and Urien; as well as a premium skin for each. Those who buy the pass will also receive an exclusive PS4 theme, and those who buy it before the game’s release on February 16 will receive the SFV Ryu, Bison, and Chun Li avatars for free. The Season Pass will be available to purchase for $29.99 / €29.99 / £24.99 and is currently available for pre-puchase in North America. However, should you not want to buy the pass, all characters can still be earned through the in-game currency known as fight money or bought individually with the game’s premium curency, Zenny. Characters are set to cost 600 Zenny each, and the premium costumes included in the season pass are set for 400 Zenny each. Character prices in fight money are currently unknown.